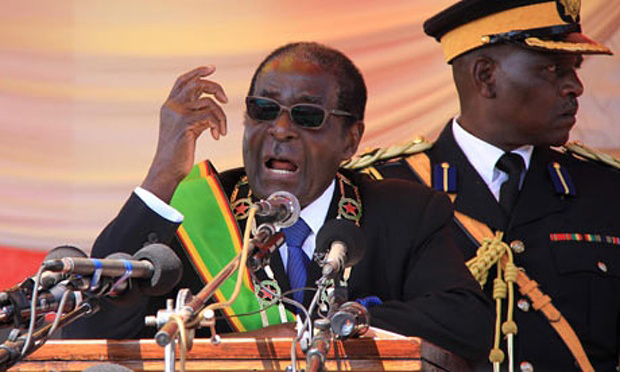 PARLIAMENT suspended live television and radio broadcasting of a speech by President Robert Mugabe on Tuesday after the main opposition party threatened to disrupt the event. Opposition groups booed and heckled Mugabe about the deteriorating economy in August during his state of the nation address in parliament. Innocent Gonese of the opposition Movement for Democratic Change (MDC) told parliament that the MDC would disrupt proceedings to protest against anonymous death threats to opposition legislators if they heckled Mugabe again. Speaker of parliament Jacob Mudenda, however, warned the opposition they would face contempt charges. Broadcasting was then suspended before Mugabe started his speech. During the speech, the MDC members sat quietly, while ruling Zanu PF party supporters clapped at regular intervals. In his 25-minute speech, Mugabe repeated promises to strengthen ties with Western lenders and promised to overhaul investment laws to make it easier to do business in Zimbabwe. “Let us, whatever our affiliations, political, religious, social, continue to believe in ourselves, to believe in our collective capacity, so as to overcome adversity and challenges that confront us, including unemployment,” Mugabe said to cheers from his party members. Mugabe arrived at parliament in a vintage black Rolls-Royce car in the company of his wife Grace, and inspected a guard of honour.